Home / Benefits / Nutrition / When Can My Baby Start Eating Blueberry? Feeding therapists recommend waiting until six months of age to introduce blueberries into your baby’s diet. Mothers need to be thoughtful as to when to introdue their babies to blueberries. 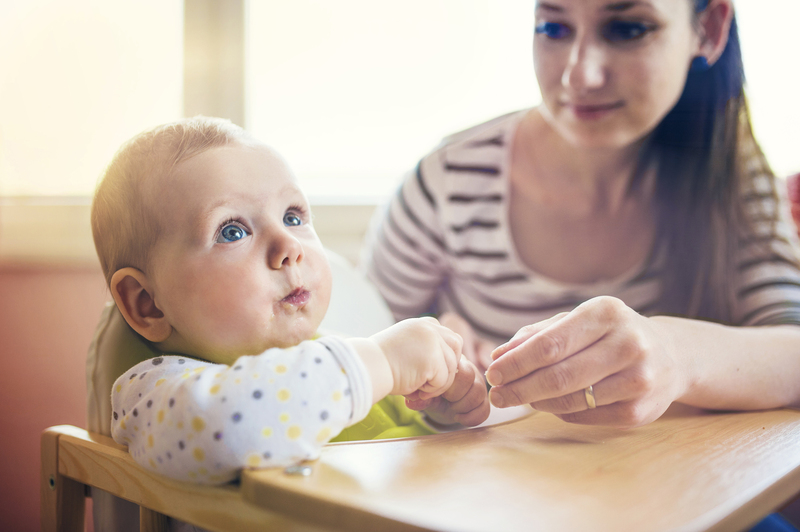 They need to follow the advice of baby’s pediatrician when it comes to introducing solid foods. To begin with a baby shouldn’t be made to start on solid foods before four (or even six) months of age. 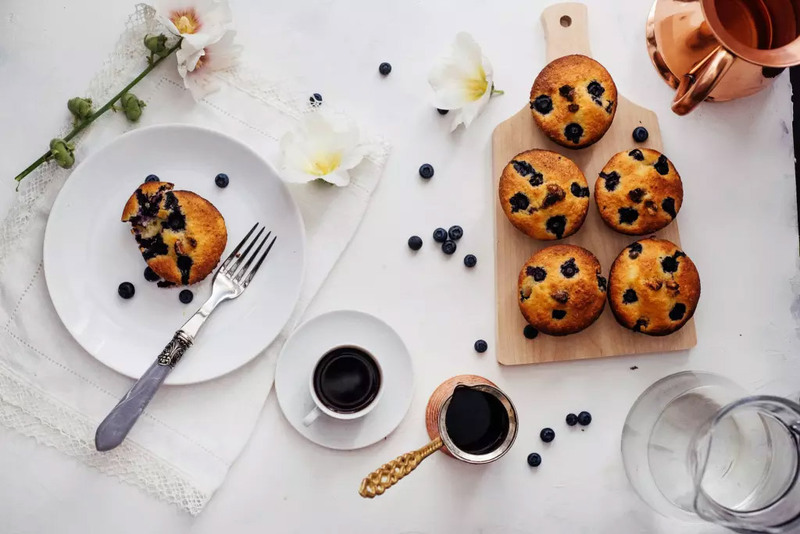 As indicated in liverstron.com, Frank Greer, pediatrician and former chairman of the American Academy of Pediatrics’ Committee on Nutrition suggests waiting until six months of age to introduce blueberries into your baby’s diet. 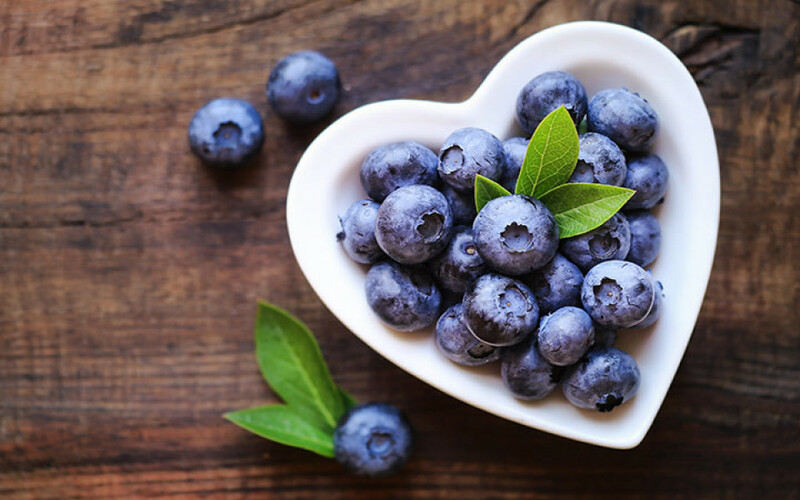 Offer blueberries independent of other new foods so you can keep an eye out for signs of an allergy. The first food will be in the form pf puree as your baby will not have teeth by six months. You can mix it with other fruits, such as bananas or applesauce, but make sure your baby has already tried the other fruits before serving combinations. If you want to make your own baby food, place fresh or frozen blueberries in a blender and puree, adding water as needed until you reach the desired consistency. Serve immediately. 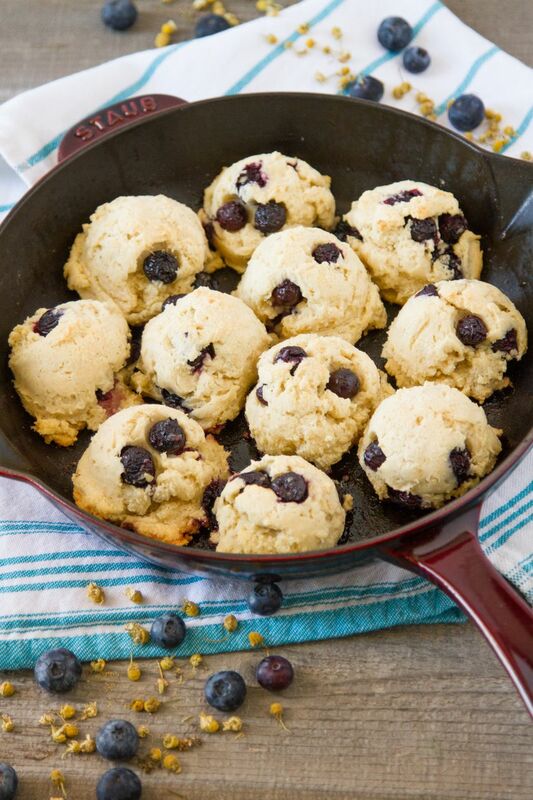 Half a cup of blueberries yields about four ounces of puree. 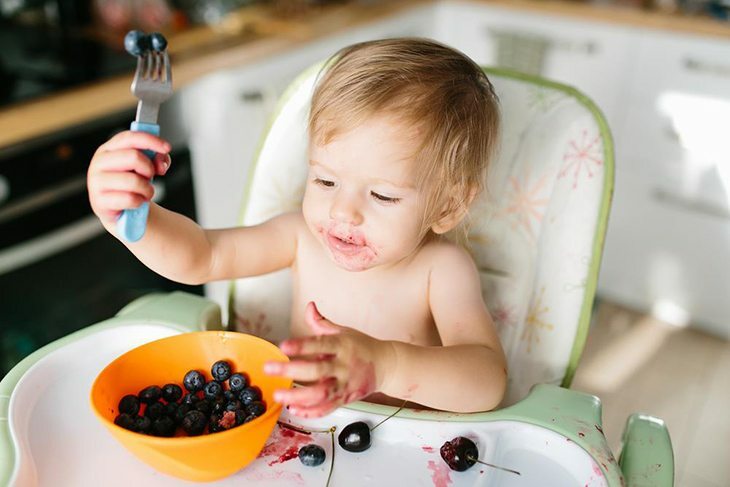 Once they start teething, you can offer blueberries as a finger food or first soft food, by cutting the blueberries into safe pieces and give a few chopped pieces at a time to avoid overstuffing and choking. By their third birthday, toddlers generally have the oral and fine motor skills to eat whole blueberries. When selecting blueberries for kids look for a darker color, because they are generally sweeter in taste. In addition, the darker the color, the higher the antioxidant potential! So look for dark, firm, plump berries and avoid moldy, soft, withered or bruised ones. Keep them in a single layer on a paper towel in the refrigerator until you plan on serving them. 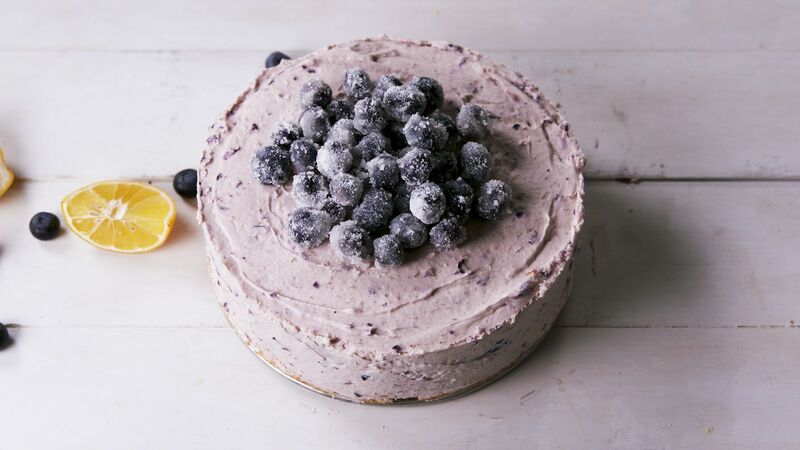 Fresh blueberries can go bad fast, so eat them within 5 days of buying. Wash in slow running cold water with vegetable wash, drain and serve. Note: Since blueberries are part of the “dirty dozen” — foods with the highest pesticide residue — it’s a good idea to buy organic.